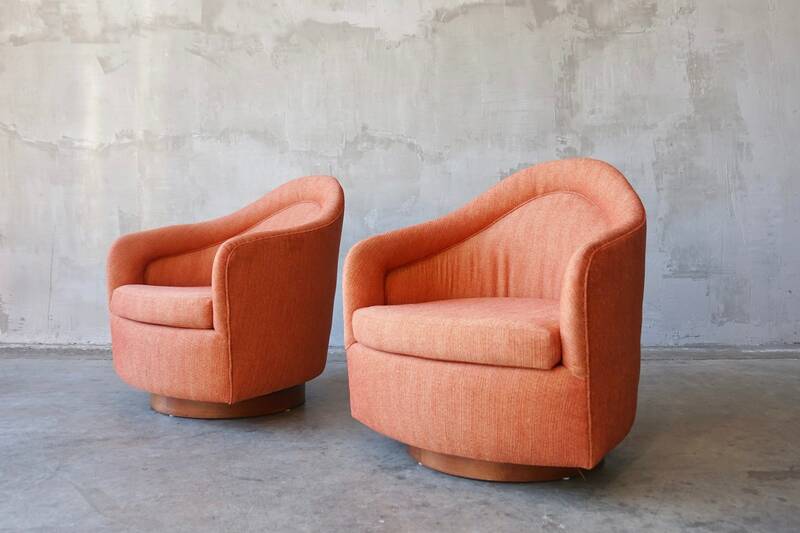 Great pair of high backed swivel and rocking chairs designed by Milo Baughman for Thayer Coggin, c. 1960s. 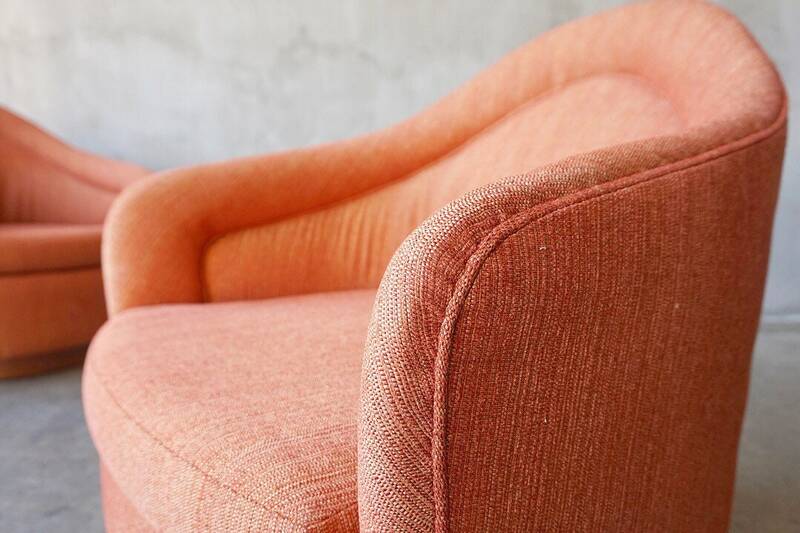 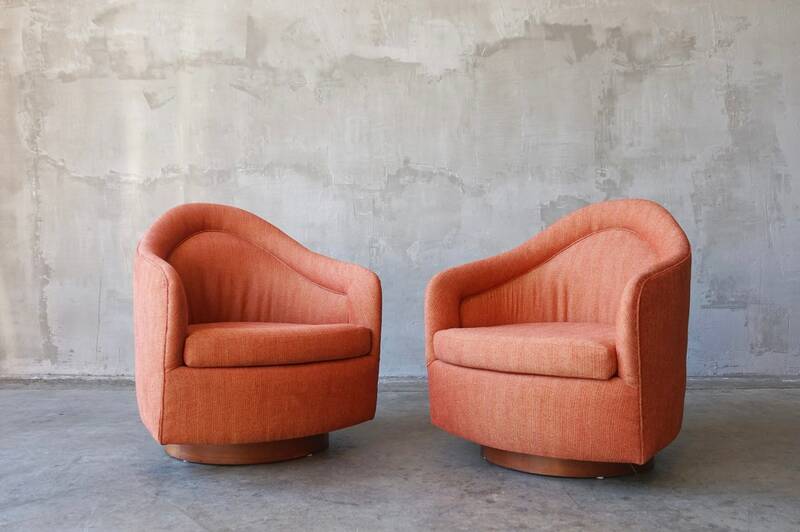 This pair has been reupholstered in a vibrant, textured persimmon chenille. 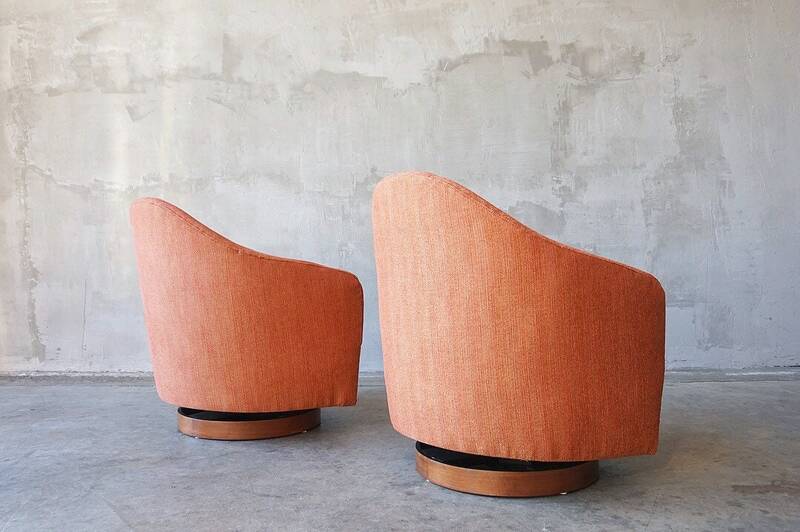 Original walnut bases have been professionally refinished. 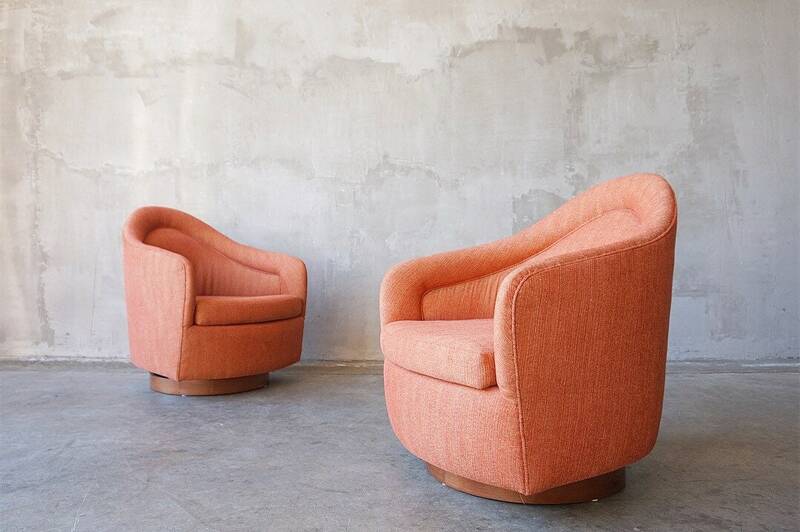 Each measures approximately 28”W x 33”H 27”D with a seat height of 15”.